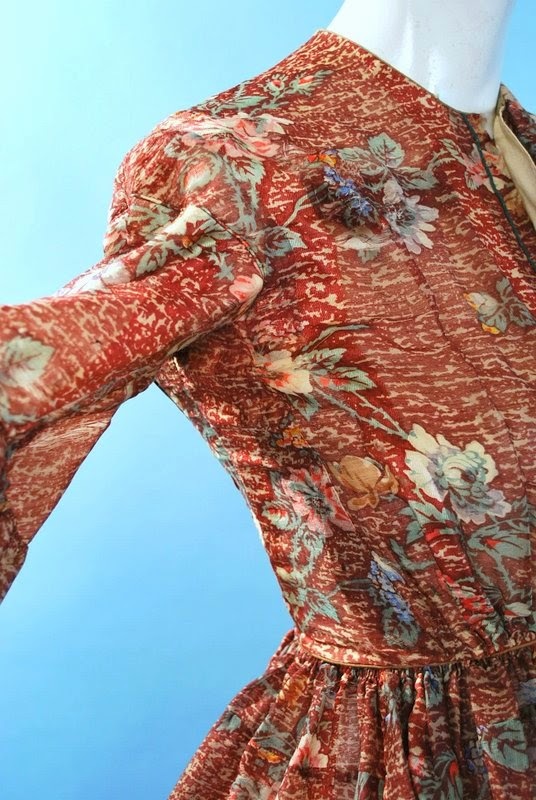 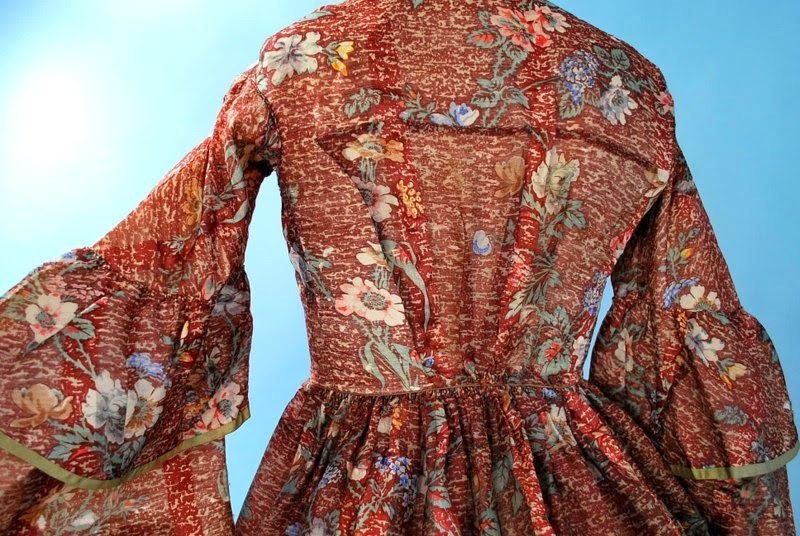 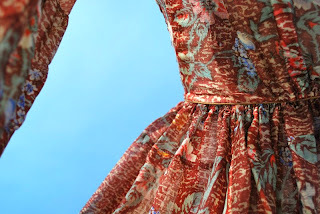 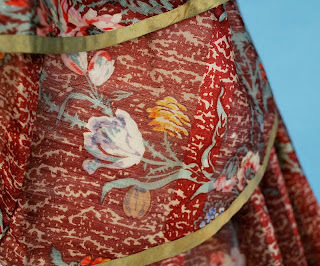 All The Pretty Dresses: Mid 1860's Dress in a neat looking print! 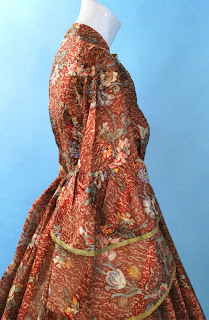 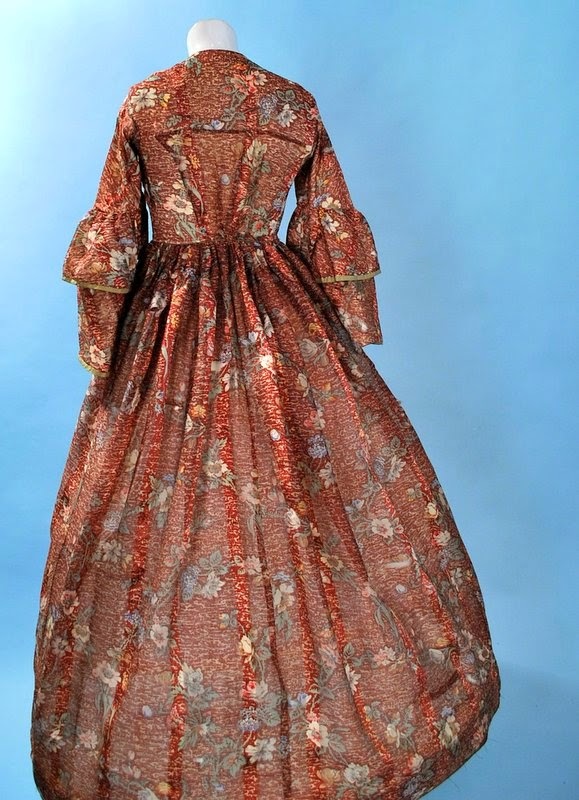 Mid 1860's Dress in a neat looking print! 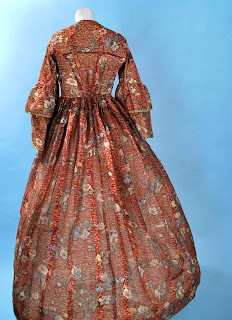 Burgundy wool and silk challis gown dating to the 1860's. 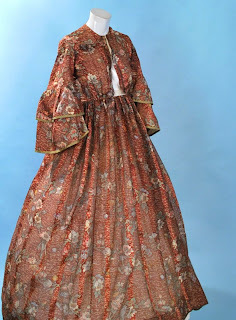 Front hook and eye, with double layered bell sleeves, piped details. Cotton inner bodice with hook and eye, skirt is unlined, with ribbon weave silk details, cartridge pleating back join. Pretty print. In as found tender condition with scattered breaks to the fabric through out. 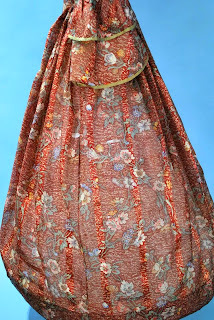 Chest measures 32", waist 22", length from shoulders 56", sleeves 17". 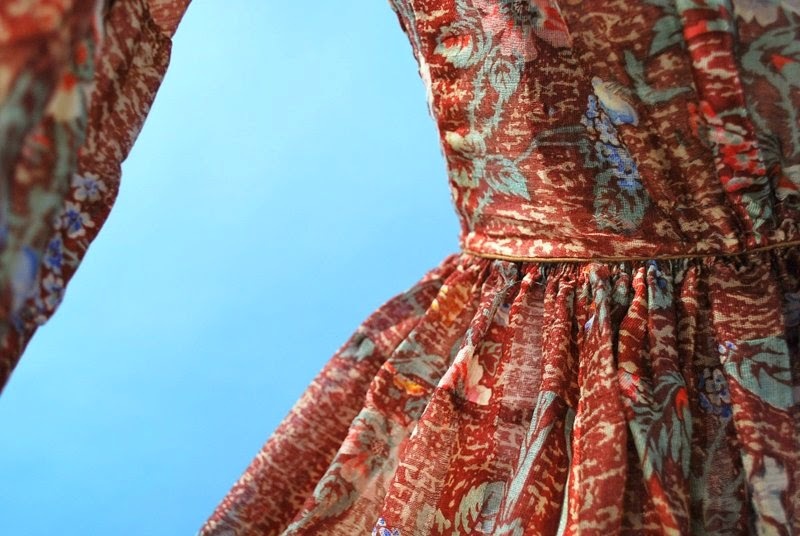 I *think* the reason the waist looks short is the mannequin and not the dress. Still, it looks like it was an older style redone later on -probably another 1850's remade towards the end of the American Civil War or maybe even just after. Feel like you are going a bit batty?